The Annual Command Meeting of the Southern Naval Command (SNC) was held at Puzhamukam Hall, Naval Base, Kochi on 23 October 2018. The meeting was chaired by Vice Admiral AK Chawla, AVSM, NM, VSM, Flag Officer Commanding-in-Chief, SNC and attended by all Flag Officers, Commanding Officers, Officers-in-Charge and other Heads of various units under SNC. During the meeting, various Operational, Technical, Personnel and Administrative issues concerning SNC were discussed. 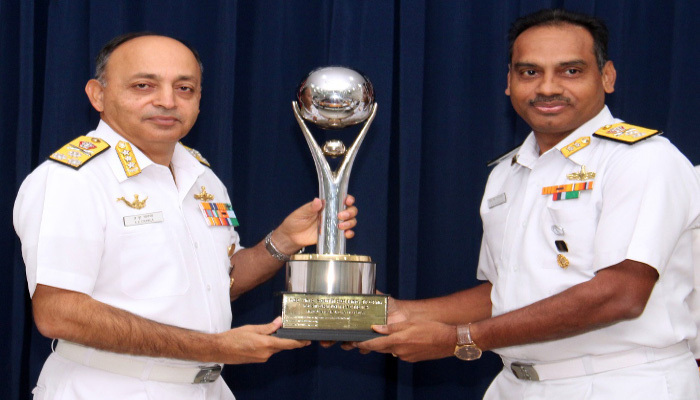 On the occasion, the ‘Dakshin Nausena Kaman Raj Bhasha Rolling Trophy’ for promotion of Hindi language in official work was awarded to INS Chilka while the FOC-in-C (South) Rolling Trophy for Best Green Practices was awarded to the Naval Ship Repair Yard (Kochi) in the Industrial category and to the logistics base, INS Hamla in the non industrial category. 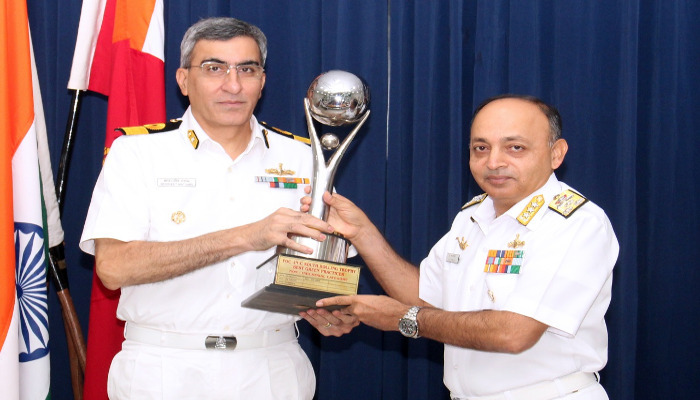 Additionally, Indian Naval Ships Shardul and Sutlej were handed over a Certificate of Merit and a Memento each which was awarded by India Meteorological Department for achieving excellence in meteorological observations. 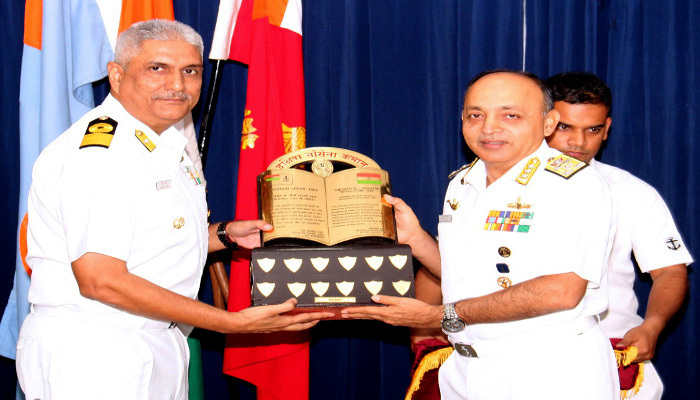 The Annual Command Meeting is an annual activity at all Commands of the Indian Navy wherein stock taking of all issues concerning units of the respective Commands is carried out for analysis and course correction, if any.